We all know how important it is to start adopting healthier lifestyle practices, but when we’re too busy hustling every day, it can become a tedious task. Working out and preparing healthy meals on the daily can prove to be too much, especially when you’d rather allot your time for less tedious hobbies like binge-watching TV shows and browsing your favorite websites *ahem*. Just because you’re frying something doesn’t mean you have to use cooking oil all the time. The next time you feel the need to have eggs for breakfast, boil or poach them instead of frying—it’s just as easy and it’s way healthier. You can also skip adding extra oil when cooking bacon, ham, and other pork products, as the meat can get oily enough as is. And when you’re eating out, opt for grilled dishes for a healthier meal that’s just as tasty. Drinking lots of water—eight glasses per day is ideal —is seriously good for you. Aside from keeping you refreshed in the Philippines' sweltering heat, it helps flush out toxins, aids in digestion, and helps relieve cramps and aches. Drinking a glass of water before a meal can also help curb your appetite, and it helps keep your skin supple and moisturized so you can achieve your chok chok skin #goals. Plus, it's practically free—what's not to love? Or even if you don’t have one, then just walk by yourself—up the stairs, around the block, in your house. Various studies have found that regularly walking can prove to be beneficial not only for your heart, but also for your brain. It allows you to think, reflect, and just enjoy some R&R. Besides, it’s good quality time for you and your pooch (and if you’re lucky, you might meet a cutie on your walk!). A healthy diet isn’t the only thing you should be concerned about. More important than that, actually, is the need for you to make sure that you’re getting the proper nutrients. It’s not always going to be possible especially if you’re picky with the food you eat, but this should be easily remedied by taking vitamins daily. Multivitamins such as Enervon can give you your daily recommended dose of various nutrients to help boost your immunity and overall health. Vitamin supplements, meanwhile, deliver specific benefits. Vitamin E capsules like Myra E can provide added protection for the body. 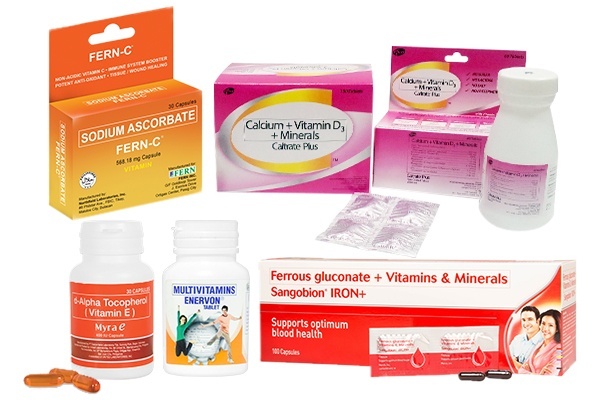 Fern C gives you Vitamin C to help improve your immune system, while Caltrate Plus provides you with calcium for stronger bones. And since menstruation and pregnancy can deplete your body's iron stores, making women more prone to anemia, an iron supplement like Sangobion would also be a smart addition to your medicine cabinet. It’s ultimately up to you to determine which vitamins you’ll take, but you should take them on the daily to stay healthy. They’re readily available and accessible at Watsons stores across the country, too, so there’s really no excuse for you not to be able to get them as needed. We know how hard it can be to pry yourself from your beloved K-dramas, but girl, you need to get enough sleep every night. Aside from stumbling into the office at 8 AM the next day feeling groggy, unfocused, and looking worse for wear, not having the right amount of shut-eye can seriously affect your health in the long run. Give your body ample time to rest and recharge: Your fave oppa can wait one more day!